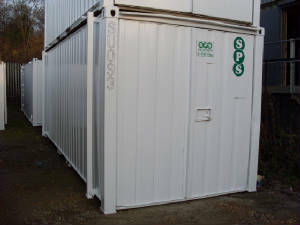 Our range of cabins and security stores are anti-vandal units. We supply various sizes and specifications ranging from a single 10ft x 8ft unit through to a 32ft x 10ft unit. 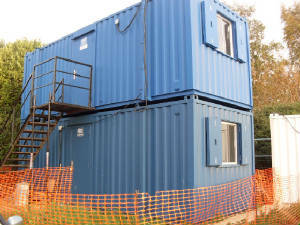 All of the cabins come with full electrics, heaters, sink units where required and are furnished to your requirements. All units can also be painted to meet individual customer requirements. Units are delivered to site by a large modern crane vehicle. All suitable units can be stacked or linked to meet customers individual requirements. Our insurance allows us to move customers own units both on site and to different locations. All of our security stores are fitted with 2x 5 lever deadlocks for adequate security.